I’ve spent lots of time for last preparation work to get ready for Mongolia. On Monday I will be off direction east, only a few more days. Starting to get nervous. Paperwork had to be organised, visiting doctors, organising medicine, and last but not least: Creating quitschi.ch website. But lets start at the beginning. First Quitschi had to visit his doctor, Mr. Resegatti, who had to do the regular oil change and inspection. He also had a look at the various oil leaks. Unfortunately does had to be fixed because oil was dropping onto the timing belt, which is really not good in the long run. As a result of this the timing belt had to be replaced. Then there was a hole in the exhaust: Too much rust. 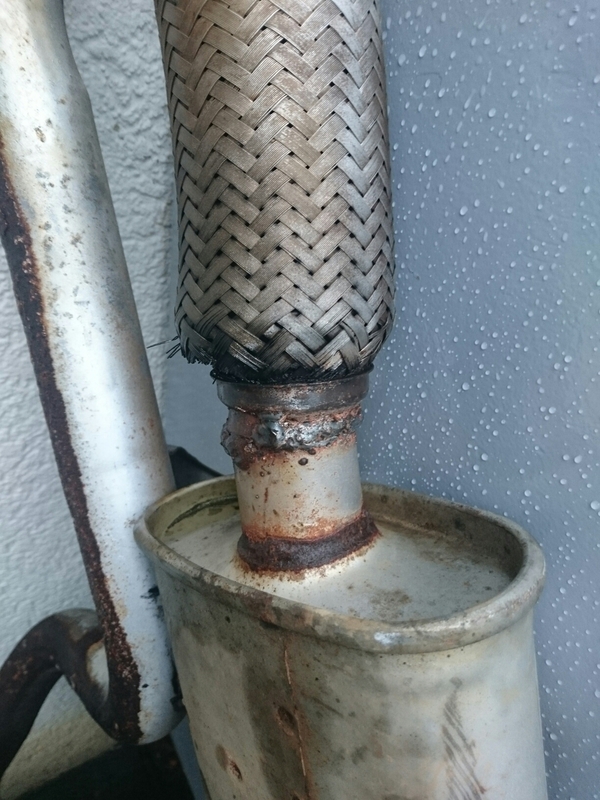 The whole exhaust had to be replaced with a shiny new one. 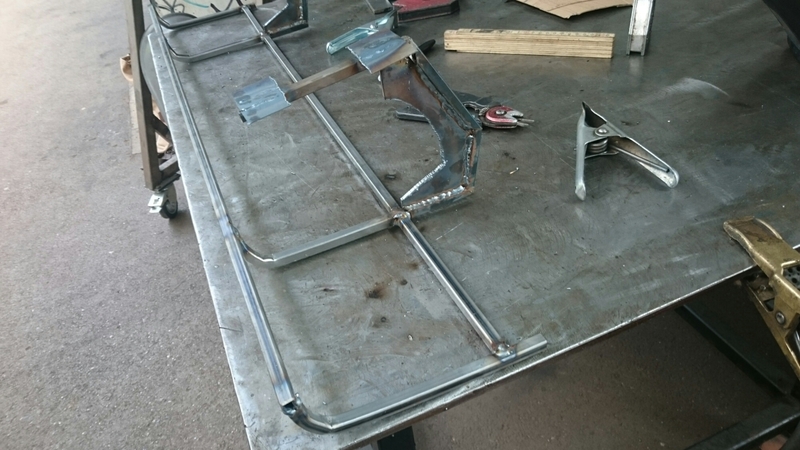 The old exhaust was apparently welded together using parts from different cars, nice work Abdula, Frankenhaust! Then new ball rod ends where installed. They are cheap and easy to replace and the must not break. 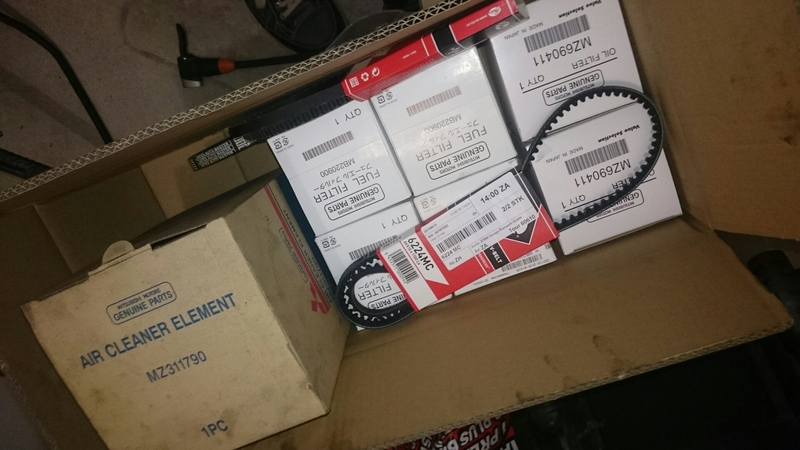 Resegatti was also so kind to order all the spare parts I going to need: 4 fuel filters, 2 oil filters, 1 air filters and a fan belt. Altogether this was an expensive repair session once again. But now the car is in excellent shape and I did everything possible to prevent quitschi from breaking down in the middle of some desert. As my girlfriend will join for a part of the upcoming trip and the car is really only providing space for one person I created an additional shelf. 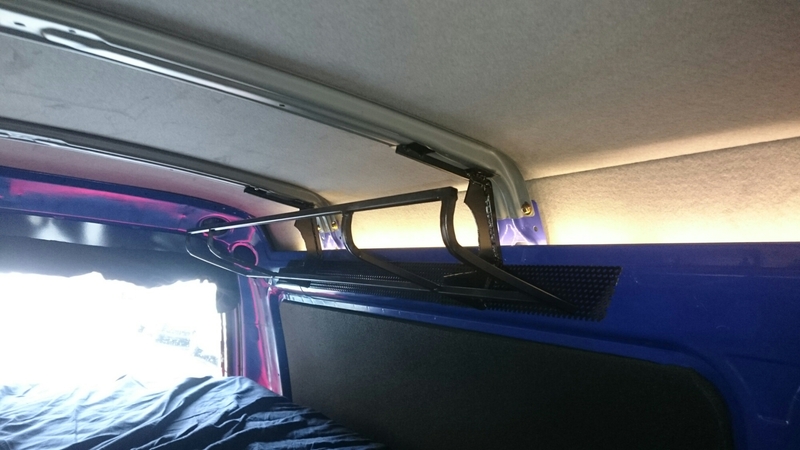 It is hanging from the roof and is supposed to look like the overhead compartment in an aircraft but ended up looking like the overhead bins in old swiss trains. Anyways, it does its job, which is adding some more room for stuff. Then I had to organise the visas. Well, I didn’t really do much. I just had to fill out the forms, the rest was done by an agency. 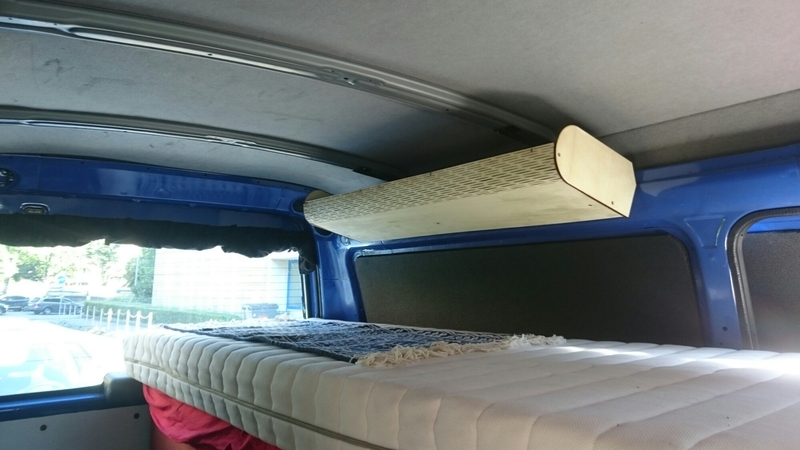 It’s probably possible to do that on your own, but really not recommended and if you want to be on the safe side: Go with the pro. But boy, is this expensive!! Then I visited various doctors to check that everything is ok and to grab some prescriptive medicine that I hopefully never ever need. 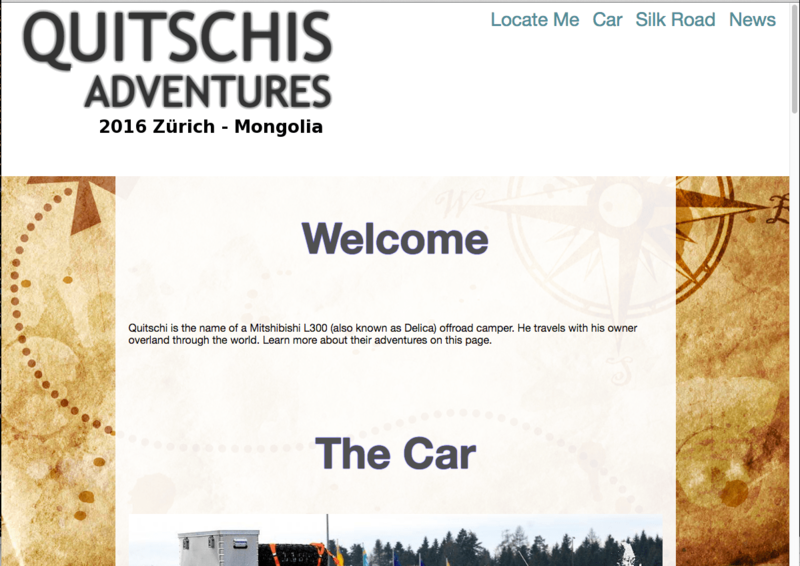 Then I’ve created the quitschi.ch webpage to report about my travel (SUBSCRIBE NOW LAZY PUNK!) 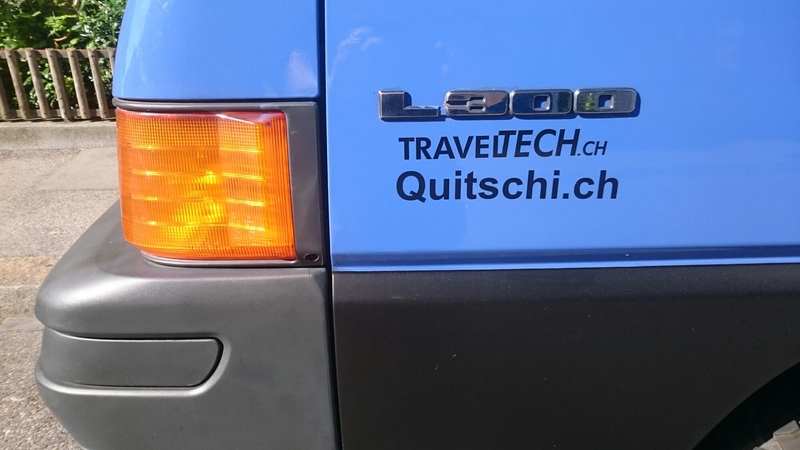 and I went to fablab to cut quitschi.ch stickers for the car. There are and where plenty of other itsy bitsy tiny things to do like for example packing my stuff. So I’m a bit under pressure at the moment, but I guess this is normal before such a big trip. On Monday I will drive off and a new adventure starts. Lets see how that goes.